Oploo lies approx. 40 km. south of Nijmegen. 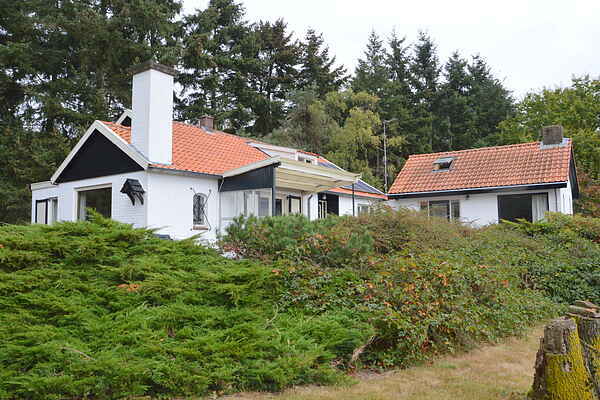 This nice, detached holiday house is situated on a large and forest rich parcel of 7 ha. at approx. 2 km. from the centre of Oploo. The interior is simple but cosy. The fire place in the living room also adds to it and will warm you nicely on the colder days. In the private forests around the house you can take nice walks and the children can amuse themselves nicely here. How about making a genuine tree hut: a real challenge! In case you might want to try: you may cut your own wood for the fire place, although there is usually enough wood around to use. You can play tennis on your private all-weather tennis court at the edge of the forest. From the terrace, with garden furniture and barbeque, you have a wonderful view at the grounds around the house. For this house it is not possible to book with a group of young people (under the age of 30).